BHL image files are hosted by the Internet Archive (IA). The IA will be upgrading their power 16-17 April 2013. This will result in planned outages to the system. 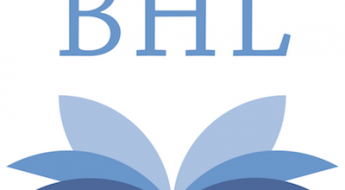 These outages will affect BHL’s ability to serve page images, generate PDFs, and downloads of certain file types. Searching and browsing BHL metadata will not be affected by this outage. Please be aware that in addition to the planned outages listed below, there may be residual and temporary outages around planned downtime. In the event of any additional major outages, please monitor this site for more information. Sorry for the inconvenience that this will cause our BHL users, but in the end this will provide better service. This week, we are doubling the power coming into our primary data center so that we can archive and serve even more web pages, books, music and moving images. During those upgrades, there will be times when many of our web sites and services will not be available. Details below. To keep the data safe, we will proactively shut down most of our services served from our primary data center. archive.org, openlibrary.org, iafcu.org and our blogs will be unavailable during the outages. The upgrades will happen over a two day period. We anticipate two prolonged outages, the first one from about 7am to 12noon PDT (14:00-19:00 UTC) on Tuesday, April 16. And the another one from 3pm to 7pm PDT (22:00-02:00 UTC) on Wednesday, April 17. Work might require additional outages between those two major ones. During the outages, we’ll post updates to our @internetarchive twitter feed. Sorry for the inconvenience.